Our very own venture into developing a platform for emerging artists in Malaysia is now becoming a reality. Hosting its inaugural exhibition in collaboration with Alliance Francais Kuala Lumpur, sembilan presents Flow x Symmetry, featuring Nicholas Choong and Jaël Estrella – two promising artists from diverse backgrounds; with the common goal to experience a unique journey in their artistic career. 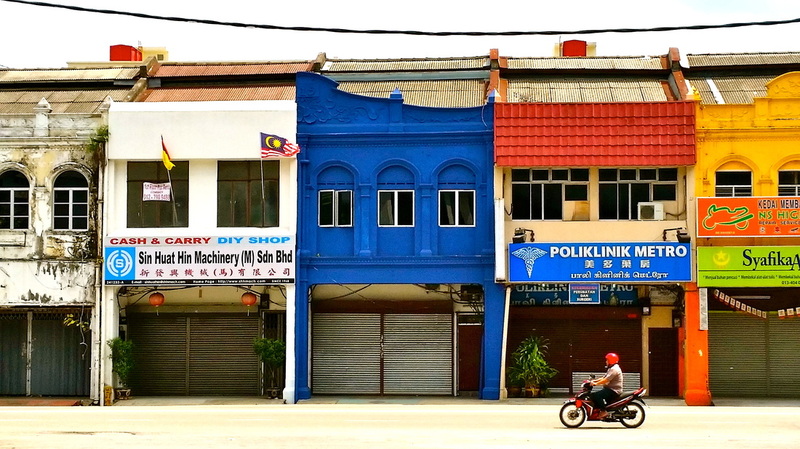 Based in the quaint town of Seremban in Negeri Sembilan, the residency program provides emerging artists a home away from home for three months, to create new works for a joint exhibition at the end of their season in residence. In addition to a cosy abode at Hotel Sun Lun Yik, Nicholas and Jaël also had the opportunity to meet with Yeoh Choo Kuan for a studio visit and discussion about his successful journey internationally and locally. They also participated in an artist workshop held in Penang, hosted by Wei Ling Gallery, Sembilan fully sponsored this trip and managed the workshop application and also had the opportunity to visit the Alphabet Press on a private tour to understand the process of letter printing. 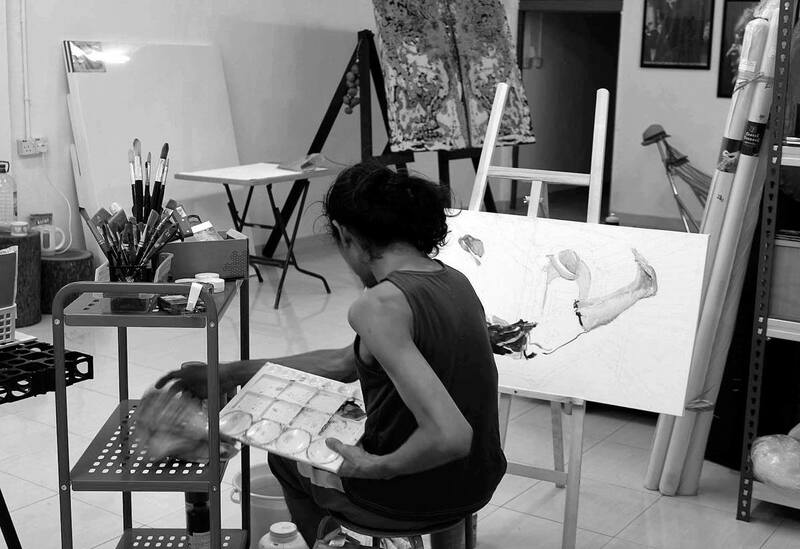 These programs were part of sembilan’s artist development initiative which aims to provide the artist in residence new learning and growth opportunities. 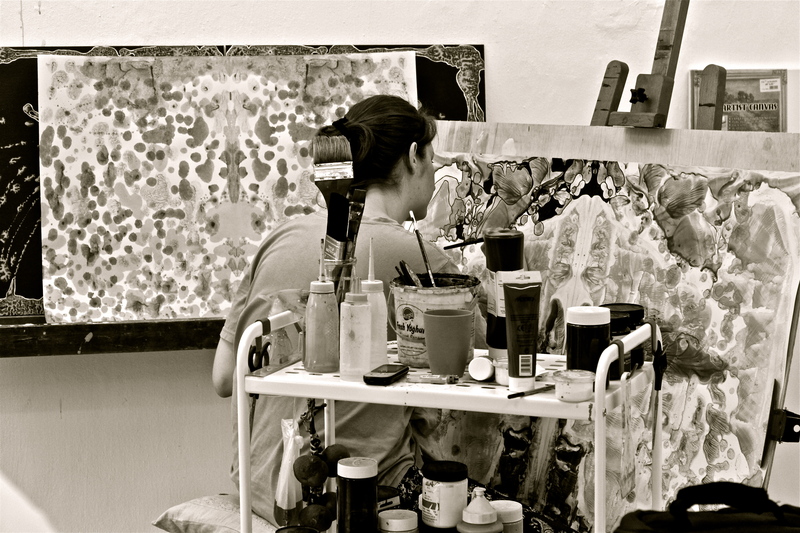 Flow x Symmetry is the result of the outstanding works completed by Nicholas and Jaël during their time with sembilan from October – December 2014. The exhibition showcases the individual artist’s work of art and most interestingly, a joint collaboration piece. Flow is represented by Nicholas, whose character, style and approach to his work is akin to the nature of a floating leaf leaning where the wind blows. In this series, we follow Nicholas’ journey in sembilan from the time he settles into the art space, familiarizing himself with Seremban town (“Stage 1 Where I am”), exploring new subjects and methods (“Stage 2 The Uncles”), and finally to the last stage of his time, showcasing the emulsion of all his experience in four distinct portraits of people recognized for their individual strengths and talent (“Stage 3 Portraits”). Nicholas works with watercolour, ink and acrylic on paper and canvas. 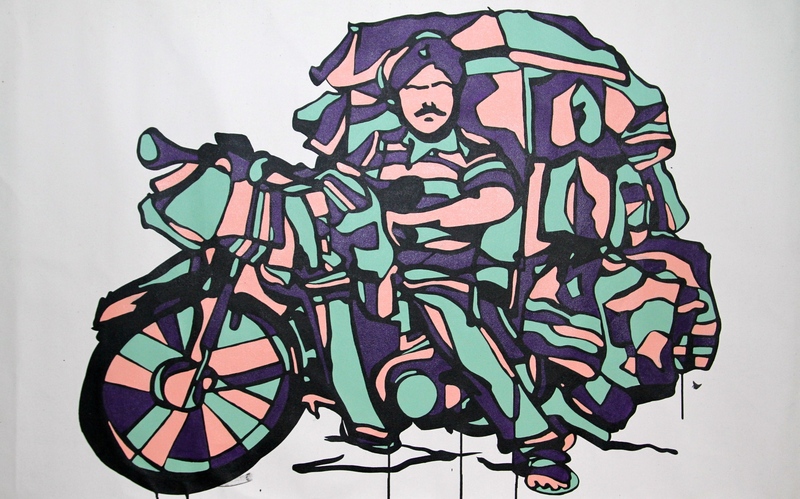 Posted on January 12, 2015 by ChalkandRaddyPosted in Visual ArtTagged Alliance Francais Kuala Lumpur, Chalk and Raddy, Emerging artist Malaysia, Flow x Symmetry, Malaysia Art, sembilan Art Residency Program.